Our sister paper “Sunday Times”revealed details last week about an incident of friction between a senior cabinet minister and a senior military official that had occurred in Jaffna a few weeks earlier. “Two weeks ago, Foreign Minister Mangala Samaraweera was here (Jaffna) to launch the Government’s website to seek views from the public on the proposed new Constitution. He took the opportunity to address Security Force Commanders and Divisional Commanders at the SF headquarters in Jaffna. He made clear that the Government would protect the interests of the security forces”. “Major General Chagi Gallage, General Officer Commanding (GOC) the Army’s 51 Division located in Kopay, who was once in charge of the Presidential Guard under former President Mahinda Rajapaksa, proposed that a military representative be included in the Task Force appointed by the Government to enforce provisions of the Geneva resolution”. “Minister Samaraweera rejected the proposal saying this could not be done. An exchange of words is reported to have ensued. Days later, Maj. Gen. Gallage was transferred out of Jaffna. Senior Army officials declined to confirm or deny the incident. He has now been appointed Director General of Infantry at Army Headquarters”. “The incumbent in that office, Brigadier Piyal Wickremeratne, has been named Security Forces Commander, Central Command. Usually, as GOC, an officer is appointed for two years. Maj. Gen. Gallage had served much less than this period. Replacing Maj. Gen. Gallage as GOC 51 Division is Brigadier Mervyn Perera, an officer from the engineering services”. The “Sunday Times”revelation of the Samaraweera-Gallage incident was picked up by various media organs within and outside the country. It was also utilised by sections of society claiming to be ultra-nationalist patriots to whip up opposition against the ruling government of President Maithripala Sirisena and Prime minister Ranil Wickremesinghe. Sarath Weerasekera who served as deputy minister of Labour and Labour relations in the govt of Ex-President Mahinda Rajapaksa charged that the present “government had no respect for the war heroes who had saved the country from terrorists in a war in which 29,000 soldiers had laid down their lives and many others had suffered injuries”. 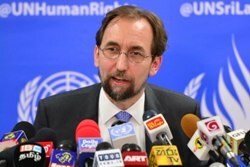 The former member of Parliament from Digamadulla/Amparai district also “ flayed Foreign Minister Mangala Samaraweera for accepting the terms and conditions laid down by UNHRC High Commissioner Zeid Raad Al Hussein in Geneva for setting up a hybrid Court to try Sri Lanka’s war heroes”. Whatever the merits or otherwise of the allegations made by rear admiral(retd) Weerasekera on this matter , there is no denying that the incident has helped to highlight prevailing concern within the Sri Lankan armed forces in general and the Army in particular about the issue of military personnel being probed over alleged war crimes in terms of the United Nations Human Rights Council Resolution on Sri Lanka passed in Geneva last year. The “Sunday Times” political column itself disclosed details about the simmering discontent within the upper echelons of the armed forces over this question. The newspaper quoting a source who spoke on grounds of anonymity, said that a “Review Group” had, two months ago, raised their concerns with Army Commander Lieutenant General Chrisanthe de Silva. He (the source) said this was in a report of some 70 odd pages where they had dissected the OISL (the title for the Office of the High Commissioner for Human Rights investigation into Sri Lanka) and handed it over to their Commander for study and action. He said the Group had “appealed for the appointment of a Committee in the Army to study the implementation of the Geneva resolution process. It should be made up of senior officers and civilian experts. The idea, the source said, was to educate those serving and retired on the possible accusations and the implications arising out of them”. It could be seen therefore that Maj- Gen Gallage’s suggestion that a military representative be included in the the Task Force appointed by the Government to enforce provisions of the Geneva resolution is but a manifestation of prevailing anxiety within the military structure over current developments. The 11-member Committee named by the Government comprises Manouri Muttetuwegama (Chairperson), Dr. Paikiasothy Saravanamuththu (Secretary), Gamini Viyangoda, Prof. Chitralekha Maunaguru, Visakha Dharmadasa, Dharmasiri Bandaranayake, Dr. Farzana Haniffa, Shantha Abhimanasingham PC, Mirak Raheem, Prof. Daya Somasunderam and Gameela Samarasinghe.The Task Force will report to a Steering Committee on Reconciliation and the Prime Ministerial Action Group (PMAG). Maj-Gen Gallage had requested that a military representative also be included in this task force. Reputed political analyst and Sri Lanka’s former ambassador to the UN in Geneva and France, Dr. Dayan Jayatilleka in his fortnightly column written exclusively for “Daily Mirror” has been critical of the composition of what he calls “the Consultational Task Force of NGO types to “enforce” the intrusive, US-driven Geneva resolution under the monitoring of a UN expert”. Observing that there are no former state officials among these “enforcers”, Dr. Jayatilleka goes on to say that the membership of the task force in particular is heavily loaded in favour of ethnic minorities.Dayan concludes on an ominous note of foreboding” Only the socially blind cannot read the signs of Sinhala angst; only the politically deaf do not hear the rumblings of Sinhala rage”. Even if one does not entirely agree with Dayan Jayatilleka on what he says,there is no doubt that there is much validity in his views particularly about the groundswell of resentment over matters concerning the Geneva resolution and its proposed implementation. the “war heroes” and “valiant soldiers” of the armed forces who defeated the Liberation Tigers of Tamil Eelam (LTTE) militarily and prevented division of the country. The present government is extremely vulnerable when it comes to accusations of this nature by the Rajapaksa led opposition.Due to a variety of factors the armed forces are indeed the darlings of the nation at this point of time. The main reason for this is the defeat of the Liberation Tigers of Tamil Eelam (LTTE) by the armed forces. The recent years have seen the country gradually return to normalcy and steadily progress towards peaceful prosperity. The nation at large is grateful to the “valiant soldiers” and “War heroes” who made this possible. In such a situation the Government has to be sensitive to the public mood and tread warily. The Govt decision to co-sponsor the US initiated UN resolution is portrayed by the Medamulana school of patriotic thought as an act of genuflection before the west leading to a betrayal of our armed forces. I , for one cannot and will not subscribe to the argument propounded by the “Rajapaksaistas” that President Sirisena and Prime Minister Wickremesinghe are treacherously selling out Sri Lanka and setting the stage for international action against the soldiers. What I feel is that both Maithripala and Ranil are in their own subtle way trying to extricate the beleaguered armed forces from the morass into which they have been pushed into by the national and international acts of omission and commission committed by the Rajapaksa regime. Instead of adopting a near suicidal combative approach towards the USA led “international community” like that of its predecessor, the current regime has embarked on a collaborative course with the ultimate objective of clearing the name and fame of true “war heroes” and “valiant soldiers”. The Government cannot however state explicitly and unambiguously that it’s underlying objective is to protect the armed forces. Such a declaration would result in dissatisfaction amidst the international community that is strogly supportive of the Sirisena-Wickremesinghe regime. It would also result in a strong anti – Sri lanka campaign being re-launched by the pro – tiger Diaspora outfits and the human rights lobby. Thus the govt has no choice other than to go along with the current for some time at least without voicing strong sentiments in support of the armed forces. The grim political reality is different. Whatever the expectations of people with “power” on a global scale the Sri Lankan governing class is dependent upon the Sri Lankan polity. As the veteran US politician and speaker of the House of Representatives “Tip” O’Neill jnr so famously observed “All politics is local”. The prevailing situation in Sri Lanka is one where unfair victimisation of the armed forces by international forces or national elements suspected of being international puppets would not be supported by the people. There is no denying the fact that the Sri Lankan nation in general and the Sinhala ethnicity in particular would not accept or tolerate the unfair penalisation of our armed forces at the perceived behest of extraneous elements.Any “Sinhala”Political leader found guilty of such an offence in the court of public opinion can write off his or her political career for good. As Prussia’s Otto von Bismarck stated “Politics is the art of the possible”.In such a situation it is hard to believe that either Maithripala or Ranil or any Sinhala politician would ever consent to such a course of action. Besides both Wickremesinghe and Sirisena are genuine, true patriots in every sense of the word notwithstanding the mud being flung at them. Neither of them would deliberately throw the armed forces to the international wolves. It was Ranil Wickremesinghe as Prime Minister in the 2001 -2004 years who did not let Sri Lanka be a party to the Rome Statute setting up an International Criminal Court. It was Maithripala Sirisena who was acting minister of Defence in Sri Lanka during the final weeks of the war against the LTTE.It is hard to believe the allegations levelled against both that they are betraying the armed forces. Unfortunately for Maithripala and Ranil they are compelled to be somewhat “constrained” in the current situation. They are like cricketers batting on a ‘sticky wicket”. Staying unbeaten at the crease is more important than scoring runs! What is happening now is that a certain course of action has been set in motion by the USA led International community at a time when Mahinda Rajapaksa was in power with no light seen at the tunnel’s end indicating that an end of Rajapaksa power was in sight. The unexpected however happened and there is now a new dispensation in Colombo that is viewed favourably by the world’s sole super power and its strategic ally the regional power of South Asia.However sympathetic the world may be, the motion set in course during the Rajapaksa regime cannot be stopped abruptly overnight. The motions of what may very well turn out to be a charade has to go on. The show must go on. The optics of international opprobrium has to continue for a reasonable period of time before the optics of international encomium takes over fully. The underlying thread in all this for the so called international community is the necessity of preserving the Sirisena- Wickremesinghe Govt and preventing a return of the Rajapaksas. Ranil Wickremesinghe in his political wisdom has grasped this reality firmly. That is why he went ahead with the controversial step of Sri Lanka co-sponsoring the UN resolution. Ranil Wickremesinghe would be chastised for this move as a “stupid sell-out” in the short term. However if things work out accordingly in the long term, the Prime Minister would be “grudgingly”praised as having performed a political miracle.Unfortunately for the International community as well as the Government, optical imperatives demand an adherence to the motions set in course for a while. There will also be an attempt to cleanse and re-structure the armed forces through domestic processes as far as possible. This however can be and would be only up to a point where the existence of the current government is not threatened or the prospects of a Rajapaksa return do not loom large on the political horizon. This in effect is the bottom line. Though President Sirisena and Prime Minister have on various occasions and at different times made public statements that the armed forces would come to no harm at the hands of international forces, both continue to be at the receiving end of vicious mud slinging through an orchestrated campaign.Both Maithripala and Ranil are handicapped at this point of time by the fact that they cannot explicitly state their point of view and also by the fact that they have to proceed with the motions obligingly at the current juncture. Their “friends” in the international corridors of power are equally hampered by such constraints.This however provides their detractors much ammunition to target the Sirisena- Wickremesinghe Govt in the short run. It is against this backdrop therefore that the viewpoint expressed by Maj- Gen Gallage to minister Samaraweera must be looked at.Incidently it may be recalled that Chagi Gallage was in the eye of a media storm a few years ago when he accompanied Mahinda Rajapaksa to Britain when the former President was scheduled to address the prestigious Oxford Students Union on Dec 2nd 2010. The Oxford event was cancelled at short notice due to a pressure campaign mounted by Sri Lankan Tamil political activists in the UK. Later on Dec 2nd a massive demonstration was conducted by LTTE and Pro-LTTE activists opposite the Sri Lankan High Commission while a reception in honour of Mahinda Rajapaksa was being held within the premises. Major-General Chagi Gallage head of President Rajapaksa’s security division who had accompanied Mahinda to London got annoyed at this. He reportedly opened the door and shouted at the demonstrators thrusting his middle finger upwards in an obsecene gesture. Other Sri Lankan officials persuaded the general to get back inside. Central London on Dec 3rd 2010 . They sought an arrest warrant against the officer in charge of security for President Mahinda Rajapaksa ,Gen Gallage, accusing him of alleged war crimes. Anticipating such a move some officials of the Foreign ministry advised Gen Gallage to leave London immediately instead of returning later with Mahinda Rajapaksa as originally planned. Maj- Gen Chagi Gallage heeded this advice and left on an early flight thereby avoiding the potential issuance of an arrest warrant against him. Chagi Gallage is acknowledged widely as a very good soldier. He discharged his duties on the battlefield with distinction. People who interacted with Gallage when he was head of President Rajapaksa’s security like former Presidential spokesperson Bandula Jayasekera say that he (Gallage)was a simple and humble officer who did not throw his weight about. After Mahinda Rajapaksa’s defeat Gen .Gallage moved into Jaffna as 51 division commander. His “fault” in the eyes of both the political executive and military establishment seems to have been that of acting inappropriately and/or speaking out of turn. It is also reported that both Mangala Samaraweera and Chagi Gallage were old acquaintances. Apparently Samaraweera knew Gallage long before the Foreign minister entered politics. If this were true then Gallage’s “breach” may have been due to this familiarity.He may even have been encouraged by some of his military colleagues to speak his mind out in front of Samaraweera.Whatever the reason that motivated Gallage, it appears that the Major – General has been rapped across the knuckles for his perceived lapse. What is important however is to recognize and realize that Chagi Gallage’s request resonates widely with members of the armed forces. Maj – Gen Gallage’s suggestion that a military representative be included in the task force is not without its merits. In fact the suggestion has much merit. Given the ethnic composition and the lack of “state representation” in the task force in question, it would certainly be appropriate and prudently political to include a representative looking after the interests of the armed forces and increase the number to a round dozen. Such an inclusion would demonstrate that the armed forces are not being short changed by the Govt/It would help greatly in removing doubts that the govt is acting against the armed forces.It would be advisable in this respect to appoint a respected ex – army commander to the task force. A name that comes to mind is Gen Shantha Kottegoda who was persuaded to retire prematurely as army chief by the Rajapaksa regime to pave the way for Sarath Fonseka to assume command in 2005. 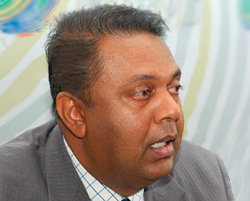 The reported exchange of words between Cabinet minister Mangala Samaraweera and Maj-Gen Chagi Gallage along with the consequent transfer demonstrates that the Govt has sharply reacted or over reacted to the public articulation of a viewpoint contrary to that of the Government’s official position by a serving army general. Senior Defence ministry officials and high ranking army officers were reportedly present when the “dispute”took place. The military establishment seems to have concurred with the Govt in reprimanding Gen .Gallage. Hence the transfer! This incident coupled with that of the suspension of four navy rugby players for wearing arm bands supportive of detained Naval Lt. Yoshitha Rajapaksa during a match shows that the Govt is hyper sensitive on what it perceives to be suspected insubordination of a political hue. The crux of the matter is that the armed forces particularly the Army has been subjected to a process of creeping politicization over the years. There was also a related militarization of politics on a lesser scale. The culmination of these two processes was effectively illustrated in the form of Field Marshall Sarath Fonseka when the retired army chief then a four star general contested the 2010 Presidential poll as the common opposition candidate. Fonseka throwing his beret into the political ring was the result of a confluence of the militarization of politics process and the politicization of the military process.Communist party stalwart and former cabinet minister DEW Gunasekera referred to this while addressing a seminar in Jaffna on Jan 2nd 2010.Comrade DEW observed thus:“With the entry of General Fonseka to politics, a new element has been introduced to our spectrum of politics which will lead not only to militarization of politics but also politicization of the military”. While agreeing with DEW Gunasekera on the question of militarization of politics and vice versa, I disagree with him about this being entirely due to Sarath Fonseka’s political entry.As far as I am concerned the process of our military being politicized has been going on for decades. The militarizing of politics too has been going on to a lesser extent.The Fonseka phenomenon was the outcome of these processes.The entry of Sarath Fonseka into politics was in a way the logical culmination of both these processes.Nevertheless Fonseka’s entry did accelerate and expanded these processes in a way never seen before. After retiring and plunging into politics the ex- army chief was very outspoken on local political issues including those relating to the war and the armed forces.Sarath Fonseka was very critical of the then government, ex – defence secretary and high-ranking officers from the defence services. Fonseka also frequently played his favourite tune of claiming sole credit for the war victory. In a bid to counter this , the Mahinda Rajapaksa Govt departed from military protocol and tradition and “arranged” for serving army officers to speak out against Sarath Fonseka both directly and indirectly.The Rajapaksa regime also ensured that maximum propaganda mileage was derived from these militaristic pronouncements. Enhanced media coverage was provided. Thus the country then witnessed statements attributed to the then serving army commander Lt.Gen Jagath Jayasuriya in the media. Some of these refuted Gen Sarath Fonseka openly. Even meetings addressed within army premises by the army chief found their way into the media courtesy of the Defence ministry websites.There was implicit criticism of his predecessor by his successor. This has never happened before within military portals. Former Army spokesman Brig. Udaya Nanayakkara very often exceeded his designated mandate by commenting specifically on matters related to Sarath Fonseka.Apart from this many other high-ranking army officers also began giving media interviews . Chief among them was Maj-Gen Shavendra Silva.Since Gen.Sarath Fonseka had referred critically to Shavendra Silva in an interview given to “The Sunday Leader”, major-general Shavendra Silva had some reason for defending and clearing himself. Neverthless the practice was not something desirable in the long run. Other top brass army officers like Maj-Gen Kamal Gunaratne, Maj-Gen Chaggi Galage, Maj-Gen Prasanna Silva, Maj-Gen Kapila Hendavitharana and Brigadier Prasad Samarasinghe (later Maj – Gen) all gave interviews to the state media. Most of these interviews ostensibly related to military matters and the war against the tigers but there was no mistaking the patent political sub-text.They were all part of a political agenda aimed at undermining Sarath Fonseka and promoting Mahinda Rajapakse. This type of brazen politicking by military officers was something unheard of in the not so distant past. The conduct of former Defence Secretary Gotabhaya Rajapakse was quite controversial in this respect. Despite the fact that he was a top government servant at that time, the ex- defence secretary engaged in political discourse while addressing public meetings.No ministerial secretary has made direct political speeches before like Gotabhaya in this country. The fact that he was in charge of the all-powerful Defence ministry that oversaw the Army, Navy, Air Force and Police sent down very wrong signals that defence personnel playing politics was appropriate procedure. Gotabhaya Rajapaksa also regularly granted interviews with political overtones to some of his favourites in the media. Gotabhaya did not encourage official press conferences where all journalists could question him openly. He only dished out interviews like hand-outs to selected media favourites.The Defence ministry website also went to town regularly with news items against Fonseka and in favour of Mahinda Rajapakse.The Defence ministry and Media centre for National security websites acquired a notorious reputation those days for vilifying and attacking people who fell foul of the Rajapakse regime. There was also a concerted effort to bolster Gotabhaya Rajapaksa’s image in those days. It was as if there was a “build-up” of Gotabhaya for political purposes. Even the interviews given by army officers were full of praise for Gotabhaya as a military genius and architect of the victory over the LTTE.There was no denying Gotabhaya’s role in the war victory and Sarath Fonseka was wrong to claim sole monopoly for the credit, but the moves to prop up Gotabhaya were a naked exhibition of how the defence services in general and the Army in particular were being politicised. After Sarath Fonseka’s downfall there were shameless exercises to boost Gotabhaya through hagiographies about Gota’s war. This then was the Rajapaksa legacy that was aggravated by the Fonseka entry into politics. It is in this context of a politicized military phenomenon under the Rajapaksa regime that the response of the Maithripala- Ranil Govt to current politico-military issues must be seen. The strong and seemingly disproportionate response to Chagi Gallage’s perceived “misconduct”must be viewed in this regard. The cleaning up of a highly politicised military in the current environment amounts to a modern version of Hercules cleansing the Augean stables. Moreover the Govt is saddled with the formidable mission of implementing the UN resolution it co – sponsored without endangering – in public perception – the true war heroes and valiant soldiers. De- politicizing the army and exorcising it of the Rajapaksa spectre is indeed a challenging task. In Sri Lanka there has been a tendency since the days of independence to politicise almost every sphere of activity. It is indeed regrettable that the armed forces particularly the Army fell victim to this course of events over the years. While the roles played by political leaders and defence service officers and officials have contributed to this state of affairs , the personality factor alone has not been the sole culprit. There have been structural changes and systematic developments over the past years that rendered the concept of the armed forces being immune from politics an almost impossible task. It has to be recognized that the twin processes of Politicisation of the military and militarisation of society and politics had to a certain extent become inevitable in the past. Just as nature abhors a vacuum, “politics” too could not be avoided in certain spheres. But one would certainly like some spheres at least to be kept “uncontaminated” by politics in the larger interests of the country. The armed services are institutions that should be “de-politicised” for the well-being of the entire nation. It is imperative that this be done cautiously and carefully so that Sri Lanka would once again have a proudly independent army devoid of politics or political influence. The Sirisena-Wickremesinghe Government therefore needs to be supported if and when it embarks with a noble vision on this very worthwhile mission.